BrownSpiceBeauty: The T3 Featherweight Dryer is a Champion! The T3 Featherweight Dryer is a Champion! Ladies, I confess, I have thick hair.. extremely thick hair. I am still awaiting that day when I will learn to appreciate the thick hair I have. Until then, I must wrestle, tame and smooth out the frizz beast with styling tools and hair products. For many many years, I spent countless hours straightening, and blowing out my hair until it was smooth. A normal blow out session would take me about 30 to 45 minutes while I stood in my unmentionables because the heat from the blow dryer would make me extremely sweaty. Y'all know what I am talking about. That is, until I sprung for it and bought my T3 Featherweight Dryer, that I absolutely adore. I purchased it from QVC when they were having one of their sales, so I was able to get it for a little less than what I found priced currently. I have read reviews about this item for over a year now and was hesitant about shelling out the cash for it. I mean, I did not quite understand what made this so different than my $20 Revlon Blow Dryer. However, when I saw it on sale, discounted, I said to myself this is the time to try it. I must say, it has paid for itself twice over. Not only has this dryer saved me time by how about cutting my hair drying from 45 minutes to just under 20 minutes if I take my time, but it has also smoothed out my hair. I find that I use even use less product to smooth it out. My hair drying routine. 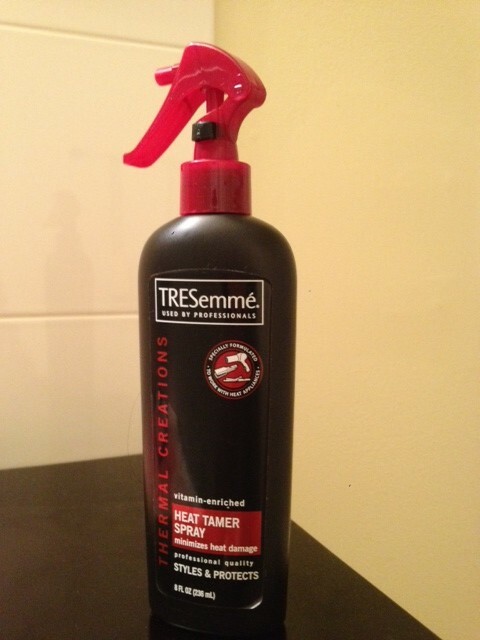 I always blow out my hair after I have washed and cleansed my skin..(Like if you are not afraid to show the world your face, makeup free :) ) First I comb out the knots with a wide tooth comb, then I spritz some TREsemme' Heat Tamer Spray to prevent heat damage. After I blow out my hair, I normally put a few drops of Argan Oil from Sally's Beauty in my palm and smooth it over the ends and the shaft of the hair. This helps to keep my hair smooth and shiny. Before the T3 Featherweight Dryer, I was using a smoothing serum, blowing out my hair, flat ironing it, and then using a big barrel curling iron for the ends. As for styling products, I would use a Smoothing Serum, Heat Spray, Argan Oil and Hair Spray. This product has saved my hair from countless heat products and styling aids. Needless to say, I am in love. Physical Appearance: Extremely cute in white and has diamond accents near the handle, very girly. Weight: Lightweight and easy to operate with one hand. Settings: High and Low. I used the high setting when blowing out the frizz and then used the low to cool down the curl. If you own this hair dryer or decide to try it, make sure you post a comment and let us know what you think. Great post! I don't know a lot about hair products and dryers but I know my wife uses organic root stimulator for her hair, she raves about it but shes always looking for my tips and ideas. So I'm going to make sure to share your blog with her, thank you for posting this.